Baby you can link my site! Are You A Lennon Fan? About a month before the Beatles appear on the Ed Sullivan Show; Sheri and Debbie win front row tickets and backstage passes, as well as a limo ride to the show courtesy of a local pop radio station. When the show date finally arrives, the girls get to meet the Beatles. 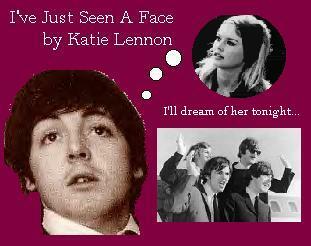 Paul McCartney is instantly attracted to Sheri's frivolous personality. But the backstage meeting is only enough time autographs and perhaps a handshake. All Paul knows about Sheri is her name and that she lives in the city. 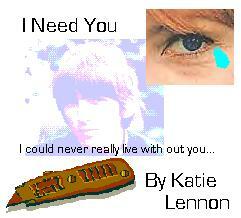 Now he's on a quest to find Sheri before the Beatles leave and she is lost forever. A/N: Rated PG for mild language. A/N: Rated PG-13 for suicide attempts and mild language. Make this a private message? AYNB's FF Poll What is your favourite kind of FF to read/write?